ZZ- Sorry what sounds right in my head doesn't always read correctly on e-mails.. I love your Sleeping Beauty Castle Picture! I'm a california native and I miss going to disneyland. @Zapperz: That Disneyland picture is AMAZING. That's my new favorite of yours and you have had lots of favorites! @SaraPBGardens: That picture of Epcot with the flowers in the foreground is fantastic. That's really good composition. It looks like something that would be on Disney literature. -dsoup, it's funny that you say that. My mom said the same thing. It reminds me of a picture on the unofficial guide to wdw.. Call Bob Sehlinger and see if you can sell it! This has got to be one of the most difficult shots to get. You can't use a flash, because it will wash out the shadow. So you have to snap it without a flash and with very steady hands. You also have to do it quickly because once the train moves, it's over. Out of a number of tries, this was the best one to come out. I've got a friend who's tried many times to get that shot! Her's are much more shaky--well done!! These are all gorgeous photos! You guys should be professionals! ZZ- That is a fabulous Yetti shot! I love it! 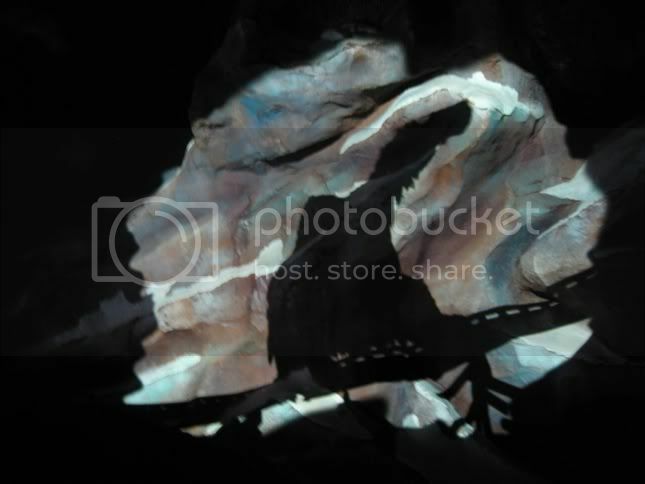 I wonder if we should put a spoiler alert on this thread for those who haven't ridden Everest. Well..... there's no picture of anything at the end! True... and who hasn't ridden Everest, yet?!? Here's something you don't normally see - a fireworks show above the Hat. That's awesome!! You really should submit that to a contest somewhere. It's beautiful! I'm really glad you got the context of the hat in there, too, so folks know where they are. 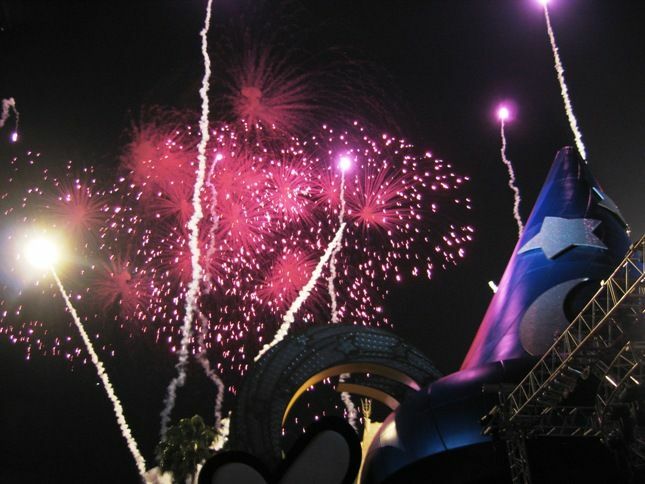 Speaking of...when did they set fireworks off above the hat?!? Whomever came up with this topic was really smart.. one picture has turned into so many great ones! It was from a private event. The event organizers arranged for the fireworks. @ZapperZ was your hat shot taken with a tripod? @Sara got anymore with foliage in the foreground? It's a really interesting theme. I wonder if we should add some kind of photo gallery on here? Thoughts? Brad- I think I only took the two, I wasn't sure how they'd come out. But now I know what to do when I go back in a couple of weeks. Actually, that one was taken without a tripod. It was too crowded, and I would have looked like a nerd and stood out like a sore thumb had I lug around a tripod to the event. 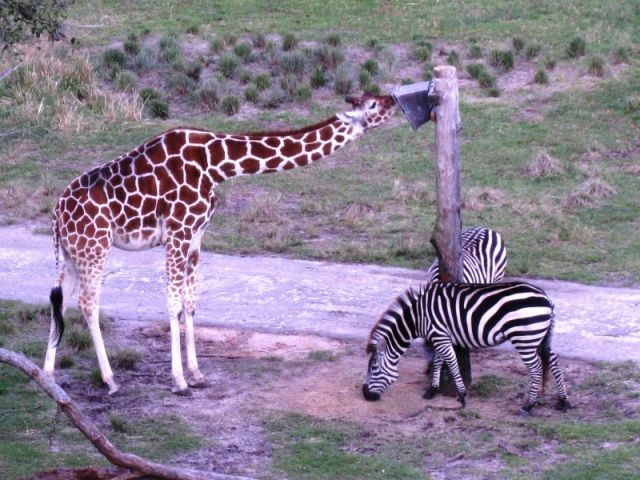 This is what we saw from our balcony when we stayed at Disney's Animal Kingdom Lodge last February. We almost regretted leaving our room each day to go to the parks! BTW, I've submitted this picture for the weekly photo contest at the Disney forum that I've mentioned earlier. The theme this week is live animals. The competition is always tough! Wish me luck! I really think AKL is a special place...there's just nowhere else you can get those types of "views!" Good luck in the contest! Is there somewhere we can go to vote? Brad, I really like the idea of a photo gallery on the site. I really appreciate the beauty of WDW and the kinds of atristry you can create wtih photography there--wouldn't hurt to showcase that on the web. Disney pictures that aren't "disney" pictures. I like it. You have to be a member of the wdwmagic.com to vote. Once you're there, then scroll down to the Digital Media and Photography group, and there's a forum titled "Digital Media Contest". The current photography contest thread will have the theme "Live Animals" in it. It is still in the submission stage. The poll doesn't start till Friday. However, there's currently a poll for the contest from the previous week that you can vote on. Yes, I'm in that too, but not doing too well. There are just a lot of terrific pictures submitted every week for each of these contest. I think I registered there once. Everyone go vote for ZapperZ! Nice try. I don't think you will after you've seen some of the amazing pictures submitted each week. Doesn't All Ears Net have a photo contest as well? Good luck to you, Zzappers! These are great photos! Will go over and check out the other photo contests. Go ZapperZ! Sara needs to get involved too! She's got some great ones!